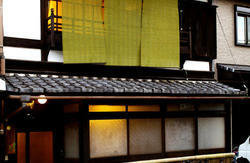 Our CAPSULE DORMITORY BEDS offer you one of great experiences in Kyoto!!! Located in a safe, quiet local street, 10 minutes walk from Kyoto Station, Tour Club has renovated dormitory rooms to brand-new capsule beds. The capsule comes with 20 inch flat screen TV, headphones, international power socket, reading light, shading curtain for your privacy, and comfortable bedding on tatami mat. Individual lockers in the room are large enough to put a suitcase. The rooms have large flat screen TV, air-conditioning, luggage space, hair dryer, cups, kettles & useful information book. Free Strong WiFi is available in all room!!! 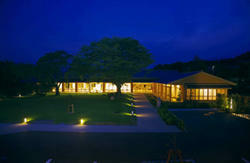 Please enjoy homey, relaxing atmosphere in our Japanese-style common space. Our friendly, English-speaking staff can provide tourist information. 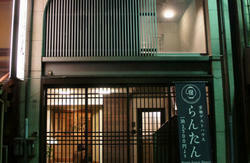 We are located at the north side (Karasuma guchi) of Kyoto Station. If you arrive at Kyoto Station by train please use Central Gate (not Shinkansen Central Gate. If you arrive by Shinkansen, go through the Shinkansen Central Transfer and you will see signs directing you to the Central Gate). You will see the Kyoto Tower in front of you. When you arrive at Kyoto Station, please go out to the North side(Kyoto Tower side), then walk West on the Shiokoji Street. Turn North on to Shinmachi Street (Lawson on the corner with traffic lights) and go straight. When you reach to the traffic lights, Shichijo-Shinmachi intersection, please cross Shichijo Street (4 lanes large street) then turn left and follow Shichijo Street. Please keep straight at another intersection with traffic lights (Shichijo-Nishinotoin). After that please keep an eye on your right hand side. You see a public house bar in a Roman-style building. Then please make right, onto a small street. About 150m walk, you find our brown sign (Tour Club) on your left hand side.